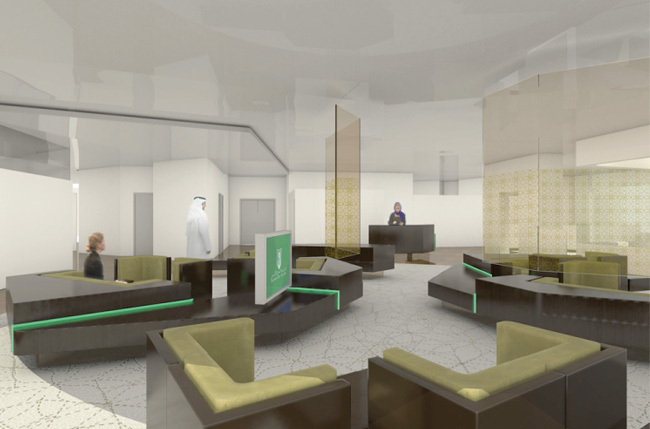 Tarek Atrissi Design collaborated with The Abu Dhabi National Bank (ADNB) to propose a redesign for its interior space and design a concept that would be applied to its different branches. 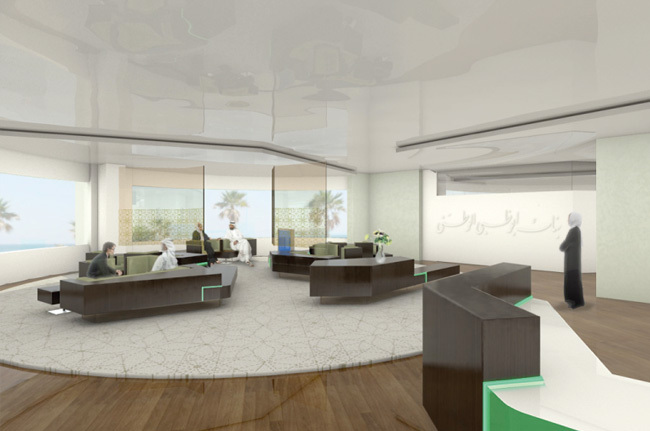 The proposed design was simple and minimalist; creating a corporate space that is welcoming and attractive. Shades of light green colors were inspired by the brand’s core color, and were combined with a lot of white colors and wooden material. The design was actually based on traditional arabesque patterns, which were the layout taken as a basis to create the shape of the various furniture elements as well as the overall layout of the space design. The rest of the environment made use of arabesque patterns to be used as graphic elements within the interior design.